As I type this I can already see the mass eye roll from audiences who balk at the idea of yet another older man/young woman romance on screen. Seriously though, how long is this going to be a thing before Hollywood moves on to another trope to abuse? In Al Pacino's latest starring role, THE HUMBLING, the actor stars as an aging stage actor who may or may not have reached his prime (both professionally and personally), and is devastatingly close to ending his own life. That is, until Greta Gerwig enters his life and reminds him of its importance. 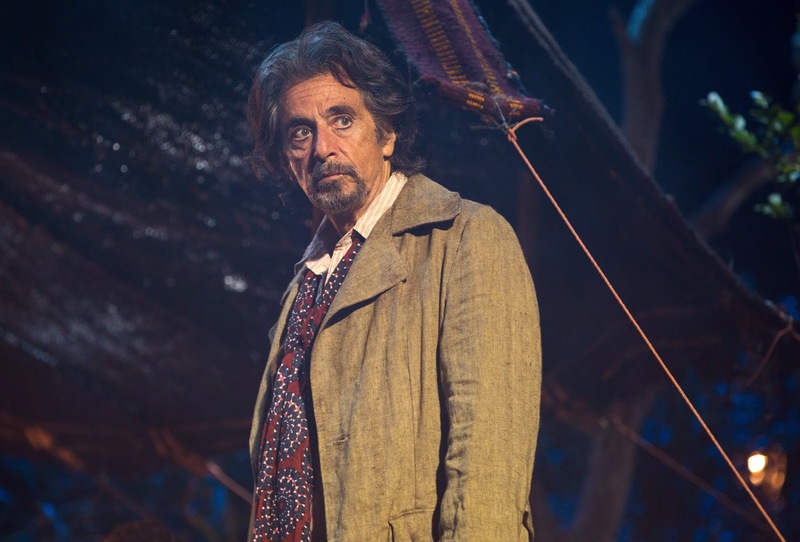 Based on Phillip Roth’s final novel, The Humbling tells the story of over-the-hill stage actor Simon Axler (Al Pacino) and his struggle to find his passion for life again. Near his breaking point, he finds motivation in the form of a young and lustful lesbian Pegeen Stapleford (Greta Gerwig), but as their relationship heats up Simon has a hard time keeping up with the youthful Pegeen. The Humbling is directed by Barry Levinson and also stars Dianne Wiest, Kyra Sedgwick, Dylan Baker, Charles Grodin and Nina Arianda. For what it's worth (which may not be much), this would look like a better film if it didn't have the romantic angle. With it, it just looks like an older man trying to find a new lease on life by sleeping with a woman who's less than half his age. Ugh, and the cast is so strong too. Plus, Barry Levinson (Good Morning, Vietnam, Rain Man) directed the film from the script written by Buck Henry (The Graduate). So, maybe this is just a bad trailer...or maybe the film really is this awful. THE HUMBLING is in theaters and On Demand January 23, 2015.